Jim is a proud native of Hardin County and enjoys being able to serve other members of the community he grew up in. Jim is not only an Investment Advisor Representative, he holds the Chartered Retirement Planning CounselorSM (CRPC®) designation, awarded by the College for Financial Planning. After college Jim began his career working for his parents in their national logistics company When his parents began to discuss selling of the business in the 2005 he encouraged his parents to do so. They were fortunate enough to create a very successful business, however the enjoyment and level of passion was no longer as strong. Though his parents made the appropriate risks to create and cultivate a successful business new concerns arose when discussing how to sell or exit the business. Though some plans were in place to transition the business, selling it was a new thought. There was a great deal of work ahead of them to try to put plans in place. 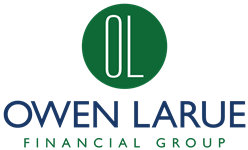 Attorneys, bankers, financial planners, and advisors were quickly brought together to put a plan in place the best they could. The sell was a success with a lot of hard work and some good fortune. Jim doesn't want other families to have to go through these stresses. You have already put in the hard work and perhaps had your lucky break. It is Jim's job to make sure you don't have any unneeded risks or need for good fortune to enjoy your success. 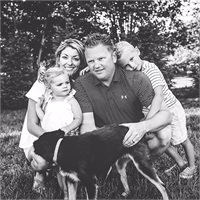 Jim lives in Elizabethtown with his wife Jamie, a school teacher at Vine Grove Elementary, his son Harrison, his daughter Kinleigh and dog Milly.